Who doesn't like to look good and be praised for having a smooth and flawless pretty face? Of course, almost everyone likes to be especially women. The face is usually the first part of the body people tend to notice. You might be having a conversation with a friend, presenting a report to your company's clients, socializing on your phone or on the net (hey! people tend to picture out your face when doing so) or just by walking around the corner. So its very important to take care of that important part of the body. I'm not a skin freak or a pimple conscious person but I love to take care of my face in an inexpensive way. I don't want to spend much on facials or any expensive facial procedures because I've been a victim of a marketing strategy once. The facial procedure is over expensive and ineffective as they gave me pimples all over which was not there before I went in. That experience gave me a valuable lesson and made me a bit decisive. From then on I've decided to do it the practical way too (P.S. before that incident I really don't bother about my face that much). Tip #1. Wash your face before going to bed. I usually follow the CLEANSE-TONE-MOISTURIZE beauty regimen every night. Washing the face cleans the makeup, dirt and oils accumulated during the day. By doing so you can prevent any breakouts on your skin. Also be gentle on your skin when washing or applying moisturizer, serum, etc. as harsh application might cause wrinkles. Tip #2. 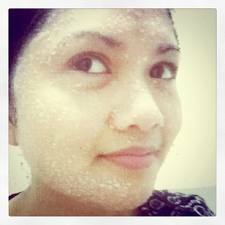 Exfoliate once a week. This is to remove the dead skin cells on your face thus preventing clogging and annoying milia seeds especially under the eyes. Tip # 3. Apply facial mask once a week. 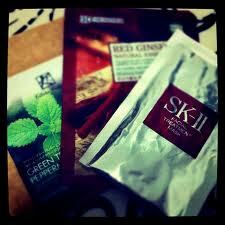 There are lots of affordable face masks available on drug stores like Watsons or Guardian. You may choose the mask you want according to the needs of your face. For me, I usually apply deep down detox once a week. Tip # 4. Apply eye cream/gel. The skin under our eyes is a bit different because it is very thin unlike other areas on our face so it needs special attention. The cream/gel on the cream depends on what problem you like to treat. It maybe for eye bags, puffiness, wrinkles or if not simply moisturize the area. Tip # 5. 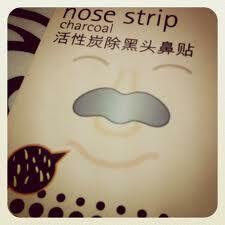 Apply pore strips around the nose area. I don't like the idea of squeezing the blacks heads/white heads on my nose as it hurts and I believe its too harsh for the skin. As an alternative, I would apply pore strips around my nose once a week. To be honest, I'm always amazed how it can pull off a forest of dirt from my nose. Another tip. Don't believe in marketing strategies (As I've said, I've been a victim once and I paid around $1500 SGD for an ineffective facial procedure and products which gave me pimples all over my face) and buying expensive products believing that the more expensive the more effective. Furthermore, the overall effectiveness of a certain skin care product may vary from user to user, hence you might see different results. Different people have different skin types and different needs so you might want to do research before committing to a certain product or going for any facial procedures. Be resourceful. We are so blessed to have accessed to search engines in our generation. So go and do research online for DIY (do it yourself) beauty treatments, read reviews on beauty products and see which is suitable for your needs and skin type. Be decisive, don't be a victim and above all love your skin.